Some women have a knack for bouncing back from a bad breakup. It seems they give themselves a day or two to mourn the loss of the relationship before hitting the dating scene with gusto. Then they never look back. Their motto: Nothing helps you get over the last guy like the next guy. 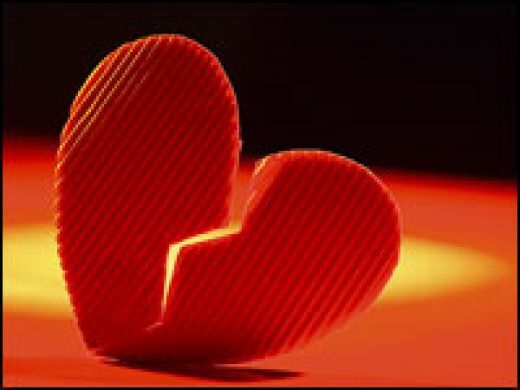 Unfortunately, many women can’t shake a lost love because they’re unwilling to accept that the relationship is over. They replay old conversations in their heads. They obsess over what they should have done to avoid the breakup. They arrange to bump into the guy and convince him he’s made a mistake. They fantasize about him constantly. They believe that he’s “the one,” and that the relationship was “meant to be.” They fear that if they let go emotionally, they’ll have thrown away their shot at true love. But, really, it’s holding on emotionally to an old boyfriend that amounts to throwing away true love. Two objects cannot inhabit one space at the same time. Giving an ex free room and board in one’s heart makes it impossible for a new one to move in. How does a woman get over an ex-boyfriend? She must make a decision to get over him, and then she needs the discipline to carry it out. She must throw out every material item that reminds her of him. She cannot afford to entertain a single pleasant thought about the relationship. Instead, it helps to write a list of the things he did that drove her crazy (the way he kept sniffling instead of reaching for a tissue, for example, or his habit of using unnecessarily big words) and refer to it often. If a friend brings up his name, it’s imperative that she change the subject. By all means, she should avoid speaking of him at all. Certain smells (his cologne, or the fragrance of a special food she enjoyed with him) and sounds, particularly music, will bring him back into her head at the most inopportune times. Her best bet is not to remove herself from the triggers, but to immerse herself in them until they no longer remind her of him. It helps if she hits the social scene often by meeting friends, taking classes, and going to bookstores. If a woman makes a point of meeting new people, she will meet new men. When she meets a guy with potential, it’s critical that she give him a fair chance. Mentally comparing him to her ex is a mistake. She’d have been better off staying home watching Seinfeld reruns. A woman can get over a lost love, but only if she’s willing. She must consciously block him from her heart and mind. It’s not easy at first, but it does get easier. Once she evicts the guy for good, she can move on to the passion and happiness she deserves. Do you have a tip to share on how you got over an ex-boyfriend? We’d love to hear your suggestions and feedback on the article.